So, two days after tearing down, I'm still tired. But I wanted to put the whipped cream and cherry on the top of the ACC show blog. Personally, and for thea fine, beading design, the show can best be described as a "critical success." As with movies and plays so designated, they don't make money but are exceptionally well-received by the critics and audiences. Financially, it was not a winning event; but from other perspectives, I couldn't be happier or more pleased. Those who did buy will be surprised by a thank you note from me over the coming weeks. Contacts: The contacts made over the course of the show will be worth their weight in gold. I've got a head of steam up for the Judaica line, thanks to some shops that showed interest. And a number of venues expressed interest in seeing more of my work -- including museum and synagogue shops. And the artists, the artists!!! So generous, so helpful, so supportive! More follow-up there required, along with some wholesale folk, some non-show artists with whom I visited, and with friends who visited the show, whether to buy or show support. Public Reception/Perception: I've now a long list of people interested in classes; and that's my next project. Technique classes and stitch classes are high on the list. Need to identify mini "kits" that can be created for the classes; need to price out class costs; need to develop take-home hand-outs that are clear and well-writ. At the same time, I've got a nice-size list of future clients. New Directions: New directions in design and in sales have been flying through my head since the very first wholesale day. I've applied to another batch of shows for the fall, not discouraged by turn-downs by several since the show ended. The cachet of ACC WILL be of help down the road, I know that. AND I'm considering putting a few kits together for sale in the website. If people want to make their own versions of some of my limited edition products, why not?! Again, working to think through precisely HOW do to it. Media: I got to do print and TV interviews to promote the show and my work. My "circle the stone: plethora of circles" necklace graced the cover of the story in the Howard County Times (and, I'm told also the Baltimore Sun) , with the story title ("One of a Kind") inside the necklace's ring. AND, one of my pieces (circle the stone: unakite starburst) also was included in a montage of artwork from the show in the Annapolis newspaper. And while the TV interview was on Presidents' Day at 5:45 am, it was a great interview! 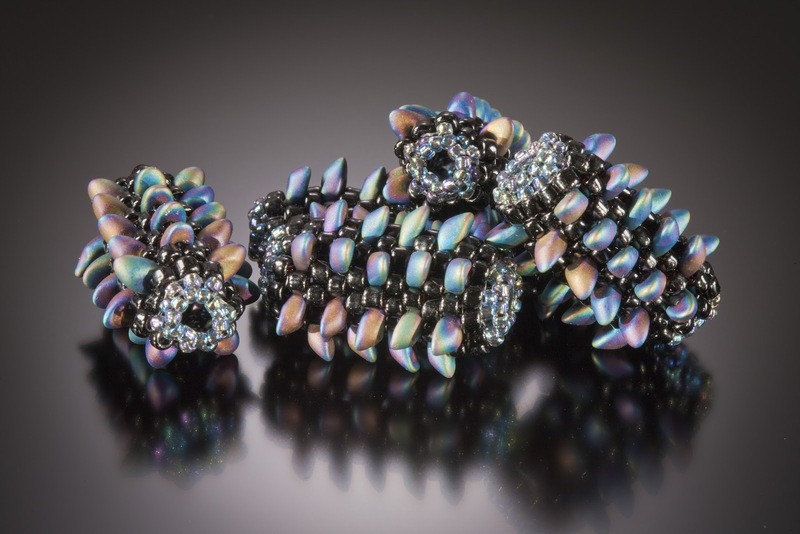 The blog will now become a weekly summary of where I'm headed with thea fine, beading design and what I manage to accomplish to that end on a regular basis. I also promise a few pictures.....as I can....of the studio and other venues. Anon! !